MOSCOW, December 11. /TASS/. The Kremlin believes that US Secretary of State Michael Pompeo’s statements about Russia’s Tupolev Tu-160 strategic bombers sent to Venezuela are inappropriate and undiplomatic, Russian Presidential Spokesman Dmitry Peskov told reporters. "It certainly is rather undiplomatic," he said, commenting on Pompeo’s statements. "We consider this statement to be totally inappropriate," Peskov added. He pointed out that US President Donald Trump also could evaluate those statements. "Perhaps, an evaluation of Mr. Pompeo’s undiplomatic statements will follow in the future," the Kremlin spokesman said. 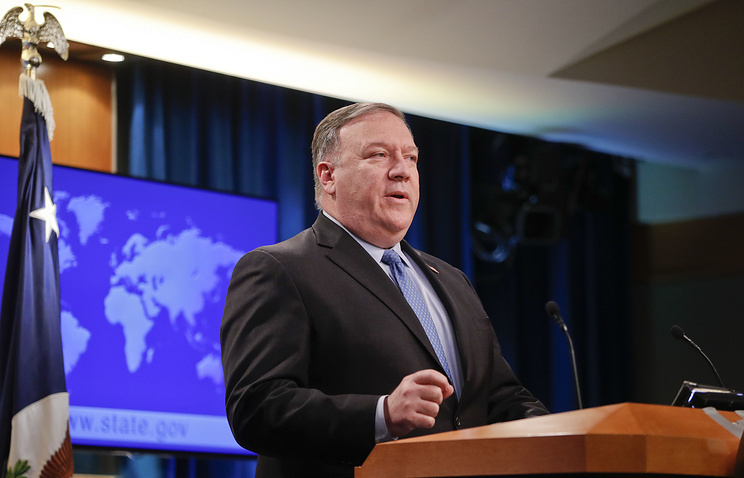 He noted that Moscow did not agree with Pompeo who had said that the mission was a misuse of public funds. "Moreover, it is not appropriate for a country half of whose defense expenditure would be enough to feed all of Africa’s people to make such statements," Peskov said. According to him, Russia continues to search for ways to build constructive relations with the United States and expects Washington to respond in kind.